Still writing, Vogue plans to release the fourth book in the series, Black Diamonds, in late 2013 or early 2014 as well as pen her first Young Adult novel. Welcome, Vogue. 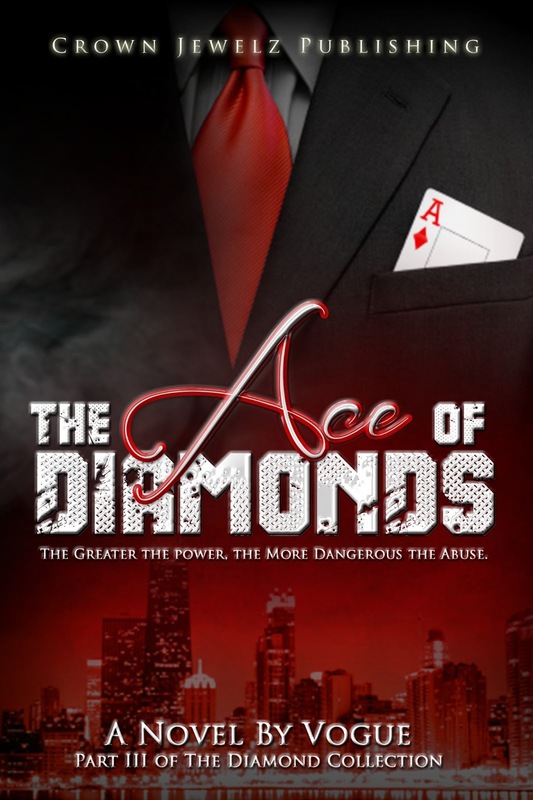 Please tell us about The Ace of Diamonds. Famous for its glitz and glamour, the city of Brookstone is also known as being the home of one of New York’s most notorious drug lords, Jay Santiago. 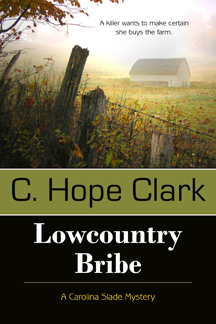 The son of a famed politician and socialite, he spent the last seventeen years of his life in federal prison only to return to the city that took him captive. In true underdog fashion, Jay rises from the bottom and rebuilds an empire and cartel that is as powerful as its leader. After linking up with an old comrade, Jay believes he has found the one material object that will allow him to leave his criminal enterprise for good. However, his most prized possession could lead to his biggest downfall yet. I was inspired to write this book after receiving an enormous response to the character of Jay Santiago in two of my previous releases, Diamonds in the Rough and Diamonds Are Forever. Several readers had requested to know more about Jay’s background and I decided to write a novel that was focused more on his character than in the previous releases. In addition, I wanted to show his character’s transition from a notorious drug lord to a legit businessman. Currently, I am working on Black Diamonds, which will be my fourth novel as well as expounding on several ideas for short stories, which will be centered on topics such as interracial relationships, abuse, faith, and domestic violence. I am looking to release Black Diamonds in December of 2013 or January of 2014. I considered myself a writer starting in high school when I transitioned from poetry to fan fiction. My love for the art form led me to start writing full-length novels and since then, I haven’t looked back! Currently, I am not writing full-time, but am dedicating myself to promoting The Ace of Diamonds. I am, however, rewriting my first novel, which I hope to re-release later this month. 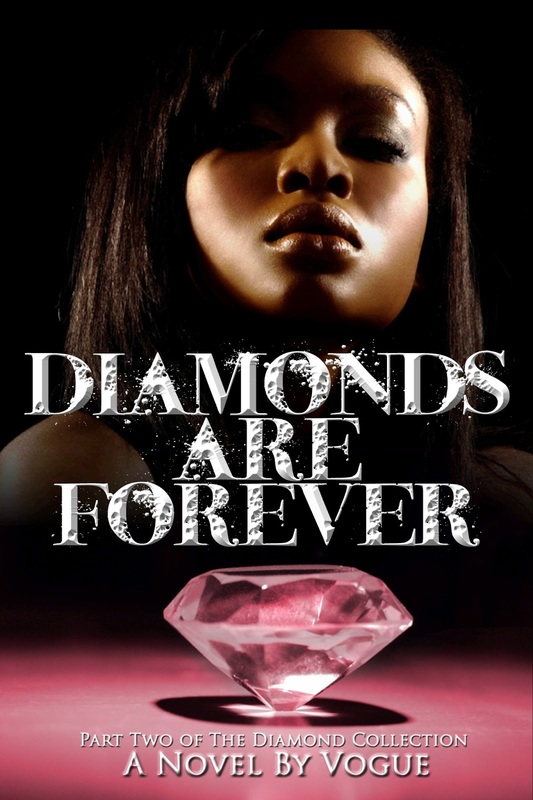 I will not start back writing full-time until October when I start finalizing Black Diamonds. If not, what do you do other than write and how do you find time to write? When I am not writing, I am still jotting down ideas for future stories. I write only when I am inspired instead of trying to work while I have writer’s block. I love to watch action movie trailers or movie clips when I am writing. Car chases, fight scenes, and the drama of it all helps rev up my creative process. Growing up, I wanted to be a teacher. I always thought that I was going to end up becoming an English teacher because English was my major for about two years in college. Halfway through, I discovered Social Work, which I realized was my intended path. The life of a writer has its ups and downs; however, we have an outlet to vent our frustrations, joys, and pains. Let’s pick up our pens and unleash! Thanks, Vogue. Happy to have you here! Write on! 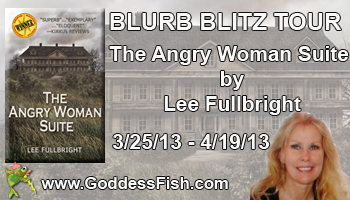 This is just one of many blurb blitz stopsfor psychological mystery author Lee Fullbright as she promotes her novel The Angry Woman Suite. Lee will be giving away a $50 Amazon gift card to a randomly drawn lucky commentor at the end of the tour. To be entered for a chance to win, leave an e-mail with your comment below. For more chances to win, visit other tour stops and leave comments there. "A very human story . . . a fine read focusing on the long lasting dysfunction of family." Rating: 5.0 stars Reviewed by Anne B. for Readers Favorite: Lee Fullbright is master of characterization." Today is a virtual book blast tour stop for paranormal author Kate Pearce and her novel Soul Sucker. Kate will be awarding a $25 Amazon or Barnes and Noble gift card, winner's choice, to two randomly drawn commenters during the tour. So make sure to leave an e-mail addy with your comment below to be entered for a chance to win. And if you'd like more chances, visit Kate's other tour stops and comment there. 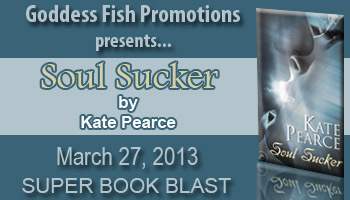 Award-winning author, Kate Pearce was born into a large family of girls in England, and spent much of her childhood living very happily in a dream world. Despite being told that she really needed to 'get with the program', she graduated from the University College of Wales with an honors degree in history. Remember about the giveaway! Kate will be awarding a $25 Amazon or Barnes and Noble gift card, winner's choice, to two randomly drawn commenters during the tour. So make sure to leave an e-mail addy with your comment below to be entered for a chance to win. And if you'd like more chances, visit Kate's other tour stops and comment there. 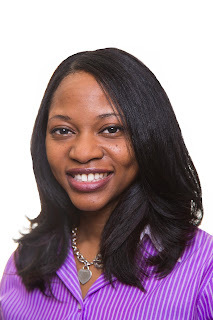 As the Fiction Writing Editor for BellaOnline, she writes articles, reviews fiction books, and interviews fiction authors. 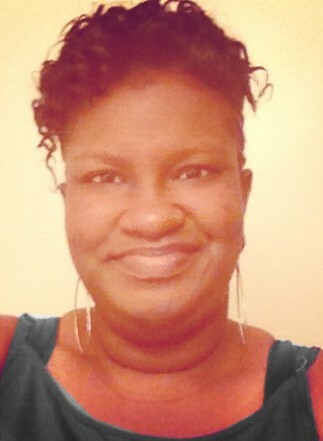 She is also an editor for Silver Tongue Press and Edit 1st. In her spare time, she attempts to clean house and relax. You can find her at https://www.facebook.com/pages/BellaOnline-Fiction-Writing/125143070846792., http://www.silvertonguepress.com/, and http://edit1st.com/. “Mom died in her sleep last night.” Those are terrifying words for a child to wake up to. The beetle that falls off the stretcher and stares at her is only the beginning one of the strangest and most frightening times in Lori’s life. Death is not a pretty thing, especially not when the funeral is to be at the Lights Out Chapel and Crematorium. 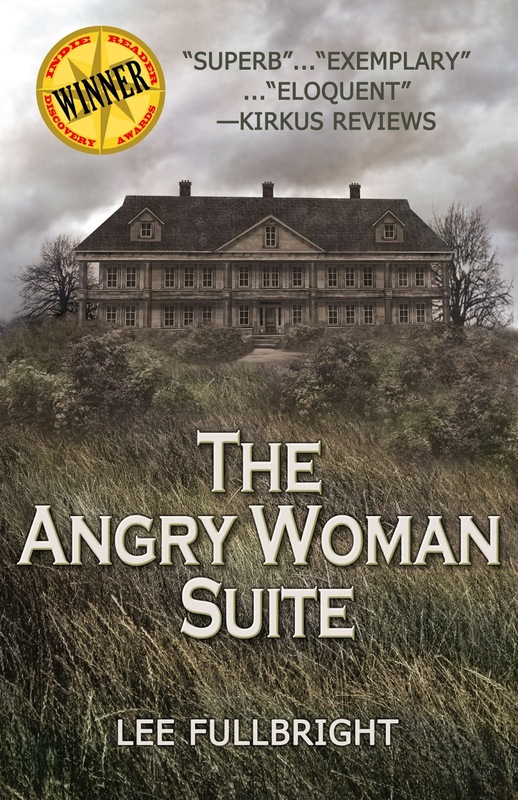 Once she walks into the funeral parlor, she experiences things that no little girl should ever have to experience. No one is acting normal. No one can see what is going on. Is Lori the only one who sees the blood oozing from the pictures of Jesus on the cross? Doesn’t anyone else see the beetles? Is Lori hallucinating when she sees her mom sit up and hears her speak? There is absolutely nothing soft and tender about what happens to Lori. From her overly morbid piano teacher to the creepy preacher and a father that just isn’t acting like himself, Lori is surrounded by people and things that hint of something bizarre. Once she leaves the Lights Out Chapel and Crematorium, things will go back to normal. Or will they? “Lori, it’s your turn to say bye now. You need to tell her that you love her and how much you will miss her.” Daddy put me down next to her coffin and placed his hands on my shoulders. He pushed me so close to her death box that I felt the white satin that overlapped to the outside. It rubbed against my hands. At least it was soft for Mommy. She would be comfortable in there. I decided to speak out loud this time. Maybe no one else would bring me back up here again if I spoke my goodbyes out loud. “Mommy,” I began, but then I started crying so hard I couldn’t speak. Daddy rubbed my shoulders until I quieted down and could begin again. “Mommy, I love you. I don’t want you to leave me. Please come back. No one, not even this Jesus, is worth leaving me over.” I opened my eyes and looked at her. She hadn’t moved since Mrs. Minuet had dragged me up here. But then her eyes opened, and she stared at me. She was staring at me! I sucked my breath in and felt my legs grow weak as my head began to spin. With one hand I grabbed on to the edge of the coffin, while with the other hand I grabbed hold of Daddy’s arm. Daddy was beginning to sound a bit mad. He picked me up and held me over top of Mommy. “Maybe if you give her a goodbye kiss you’ll understand she’s dead, and believe me when I tell you she isn’t coming back.” I was so close to Mommy’s cheek that I could see the makeup was beginning to cake in her pores. There was no warmth rising up from her body, only icy coldness. Carmen stared out the window as Kane’s Jeep backed out of the driveway. She wanted to call him to come back, but she knew that he wouldn’t. While they had cleared the air on one issue, another one had surfaced. This one, though, she couldn’t fix. She was nine months pregnant and Nyla was coming regardless of how Kane felt. He might not have liked the idea, but he knew when they renewed their vows that she was pregnant. He seemed okay with it then, but obviously the whole thing was an act. When his car disappeared out of the gates, Carmen began to think that her marriage wasn’t going to survive. If Kane was running out now then she knew it would be worse when Nyla came. Jay would be around more than ever and she would be forced to communicate with him. There might even be times when he had to come to the house. The distance between her and Kane would only grow. save her marriage, she had to act like it, now or never. Eight months pregnant, Carmen Davenport is unsure of what is waiting for her outside of the Metropolitan Correctional Facility. For six grueling months, she sat in a cold cell with only the thought of her unborn son, keeping her sane. Now, she has returned to Brookstone to discover that Flame is now a multi-million dollar enterprise, all thanks to her best friend, Tiara. Diamonds Are Forever is a reunion with familiar characters and another look into the dramatic lives of Brookstone’s finest. 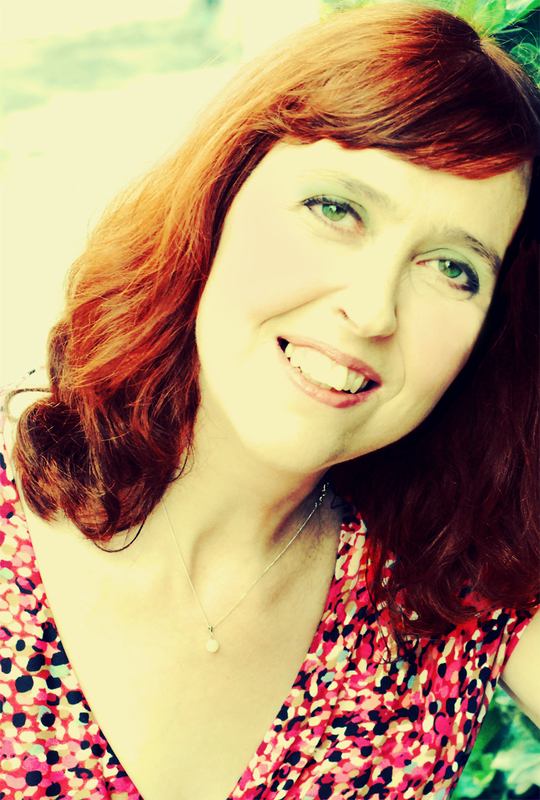 The Writer's Chatroom presents romance novelist Liz Flaherty. 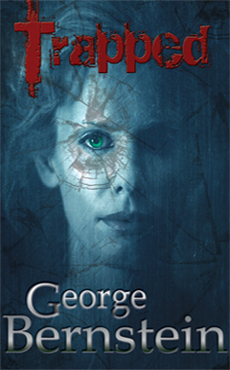 Today’s guest is suspense novelist George A Bernstein. He’s chatting a bit about his novel, Trapped, and letting us in a bit on some other fun stuff. Welcome, George. Please tell us a little bit about yourself. I’m what I consider a youthful seventy-six-year-old, with a B.A. from Northwestern University, now living in south Florida, and the retired president of a publicly-held Chicago company. My main interest is as a serious novelist. I’ve attended numerous writers’ conferences and seminars, including that of famous fiction agent, Donald Maass, and I also worked with independent editor, Dave King, all with the goal of improving his craft. I’m also considered a “World-Class” fly-fisherman, and have held a dozen various IGFA World records. In my life before writing, I operated Outdoor Safaris, a worldwide fishing & hunting tour operator, working with airlines and travel agencies promoting premier sporting trips. I’ve also published the definitive book on fly-fishing for pike & musky, Toothy Critters Love Flies. All my efforts now, however, are with my suspense novels, of which I’ve written four. A tragic surgical accident, resulting from an auto crash, leaves beautiful, vibrant Jackee Maren in “Locked-in Syndrome,” completely paralyzed, able to move only her eyes. Jackee’s physical therapist, Kevin, seems more invested in her well-being than her husband, Phil, and teaches her to communicate by blinking her eyes. Soon she discovers she can sense others thoughts, but hides this talent from everyone but her young sons, not knowing whom she can trust. Then she discovers both her car and surgical accidents were not accidents, and vows to expose the person who wants her dead before they get a second chance. Exercising her new psychic ability, Jackee finally learns who masterminded the accidents but feels helpless to stop them from trying to kill her again. She doggedly embarks on a psychic plan to not only ensure her boys have a safe future, but to exact retribution on her would-be murderer. Jackee vows not to rest until this villain understands what it is to be TRAPPED! But she must hurry. Her psychic manipulations of the players in her “skit” of revenge are sapping her meager reserves, leaving her with only months to live. So my wife and I began brainstorming for a subject, and Dolores thought of a neighbor, when we lived in north suburban Chicago, who became comatose after an anesthetic accident during plastic surgery. I took her condition, but imagined that, while trapped in a dead shell of a body, her mind was still active, and I gave her the ability to use her eyes. And Trapped became the obvious title. I only learned many years later that “Locked-in Syndrome” is a real condition. I’m working on the final edits of my second novel, A 3rd Time to Die, which could probably be called a Romantic Suspense. 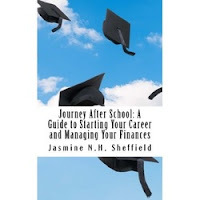 It will be published sometime in 2013. The novel deals with past lives. Two souls struggle to fulfill their destiny together. Twice, just as they discover the magic of their love, first, during a fox hunt in 17th Century southern England, and then again in 19th Century Philadelphia, their lives are snuffed out by brutal murder. Reborn for the third time, in the 21st Century, their love of jumping horses brings them together again…and their ancient killer may be still stalking them! There’s a difference between when I STARTED writing, and when I considered myself a REAL writer. I loved writing and imagining stories, even as early as my pre-teens. My compositions in various English classes were usually the ones read to the class. And after I wrote Trapped, some people thought I was pretty talented. But it’s taken a lot of work to polish my craft and learn what makes really GOOD writing. It’s only now that I’m getting all these 5-Star reviews, and comments from professional reviewers on how “strong” my writing is, that I really consider myself a writer. I finally feel truly validated. Writing my novels…and dealing with their promotion…is my main focus right now, but I do “wear many hats.” I like to write in the morning, after breakfast, and usually spend several hours at the computer…whether creating new prose, editing, or revising. Then some time is spent in the afternoons or early evenings on Promotional work: writing on my blogs, responding to other blogs, seeking interviews and appearances, etc. Publishers do little of this for you, and it’s time consuming, if you want to succeed. When I need a break, I may go into my woodworking shop and build some cabinets or furniture. Or I may sit down and tie some flies for an upcoming fishing trip. I usually go to northern USA or Canada every summer to fly-fish for pike and/or smallmouth bass. I find myself fully immersed in my characters. I actually feel what they “feel,” and I can get very emotional when traumatic or happy things occur in their lives. Even though they are created from my imagination, they become very real to me, and I can find myself laughing or crying with them. I guess that’s how I can make them so real. I had conflicting desires: to become an engineer and work with my father in our manufacturing business…or become a professional fisherman or guide. The latter seemed pretty unrealistic, but who knew then that one could eventually win as much as $150,000 in a single BassMaster tournament! So I went into Dad’s business, decided I’d rather hire an engineer than be one, and concentrated on business management instead. Whatever I do, I do it with total commitment. To become a really good writer takes more than natural talent. With the advent of e-books…that anyone can publish…there’s a lot of poorly written stuff out there. One need to put in the time and effort to learn what makes fine writing. I did that by attending writers conference classes and writing seminars. Ted Williams (my hero, whom I had a chance to fish with once), probably the World’s greatest hitter in baseball, was graced with exceptional natural talent and suburb eyesight. Yet no one worked harder on his hitting, studying the mechanics of a great swing, and putting in the time every day. Few others had that dedication. Becoming the best writer YOU can be takes no less effort. 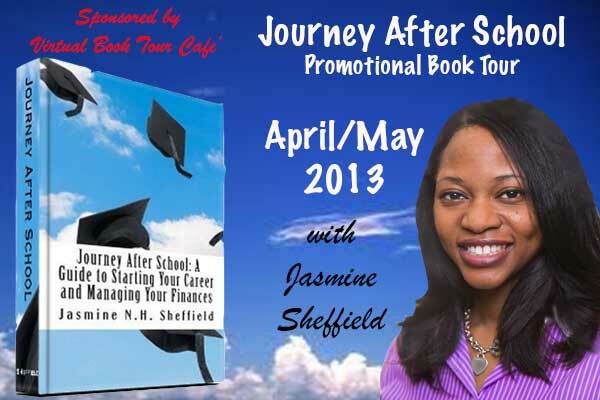 In school, classes had a defined schedule, but in your career, you may not have a specific schedule. Many employers expect that you will be at work at a reasonable time and do all of your hours for the day. If you have the luxury of choosing your own schedule, be mindful of your company’s core business hours. Typically, the core hours are defined between a start and finish time like 9:00 a.m. to 3:00 p.m. If your schedule is predefined, be sure you are punctual. You are not expected to work non-stop when you arrive at work, but you should minimize your downtime. When you are away from your workstation for an extended period of time, you should inform someone that you will be away. Your colleagues should not have to search for you and should never question whether you have actually worked all of your scheduled hours. Liza O’Connor is here to tell us a bit about her new YA suspense novel Saving Casey. 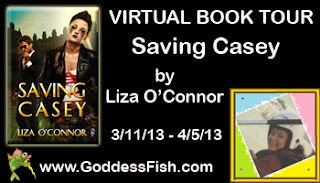 Liza will award a $25 Amazon gift card to a randomly drawn commenter during the tour. A random commenter at this blog stop will receive tattoos like Casey’s on a jpg picture supplied by winner. For more chances to win other gifts (different gifts offered at different stops), visit Liza's other tour stops and leave comments. Liza lives in Denville, NJ with her dog, Jess. They hike in fabulous woods every day, rain or shine, sleet, or snow. Having an adventurous nature, she learned to fly small Cessnas in NJ, hang-glide in New Zealand, kayak in Pennsylvania, ski in New York, scuba dive with great white sharks in Australia, dig up dinosaur bones in Montana, sky dive in Indiana, and raft a class four river in Tasmania. She’s an avid gardener, amateur photographer, and dabbler in watercolors and graphic arts. Yet through her entire life, her first love has and always will be writing novels. 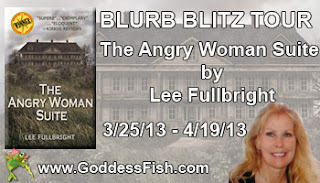 She loves to create interesting characters, set them loose, and scribe what happens. Welcome, Liza. Please tell us about your current release. When watching my friends teens struggle, I wondered if they were simply deaf to parental advice or our life experiences can’t help them with their problems. So I took an 80-year-old woman, full of life experience, and dumped her in the body of troubled seventeen-year-old teen to see if life experience helps. Turns out she struggles as much as the prior teen. Actually, I’m working on three wonderful stories. Worst Week Ever is a New Adult humorous sweet romance between a middle-class young woman and her billionaire boss. The story covers a week of non-stop disasters and misunderstandings. The Ghostlover is a New Adult double sweet romance that begins with a tangled mess requiring a lascivious ancestral ghost to intervene before the family line ends forever. Déjà Vu Déjà Adore. 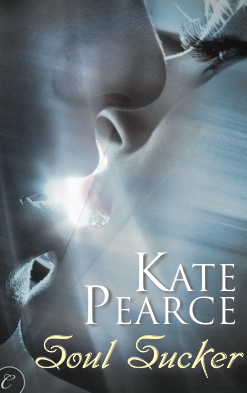 A paranormal romance in which only in death can love blossom. Long before I should have. However, thinking I was a writer, meant I kept honing my profession, and eventually reality met up with my early delusions. For the last eight years, I have been writing full-time. Since I became published in 2012, my days are scheduled by the hour to ensure I get everything done. In the morning, I hike with my dog Jess. The rest of my day is split between Email, Marketing, Blogging, Promoting and Writing. In the afternoon my dog and I take an hour walk. Then I’ll work on various publishing/writing objectives until midnight. Since as writers, we sit an excessive amount of the day, it is vital to get daily exercise. So make sure that gets in your schedule. My stories are unpredictable. Truth is, sometimes, I don’t even know where they are going. My muse is mysterious and creative. I think like most children, I was all over the place with careers. I remember wishing to be an actress, a musician, a singer, a lawyer, and a veterinarian. So when I grew up, I ended up working on Wall Street for the meanest man in the entire world. Never take a job with anyone commonly referred to as the meanest man in the world. Life is too short to be daily tortured. But if you do, be warned, they will throw things when you finally come to your senses and quit. So wear a helmet if you resign in person. Honestly, if I had to do it over again, I’d slip a note under the door and run like hell. If you would like to have a tattoo imprinted on a picture of yourself, then leave a comment saying TATTOO MY FACE PLEASE and your e-mail address. I will select one lucky person to imprint tats and let you know. 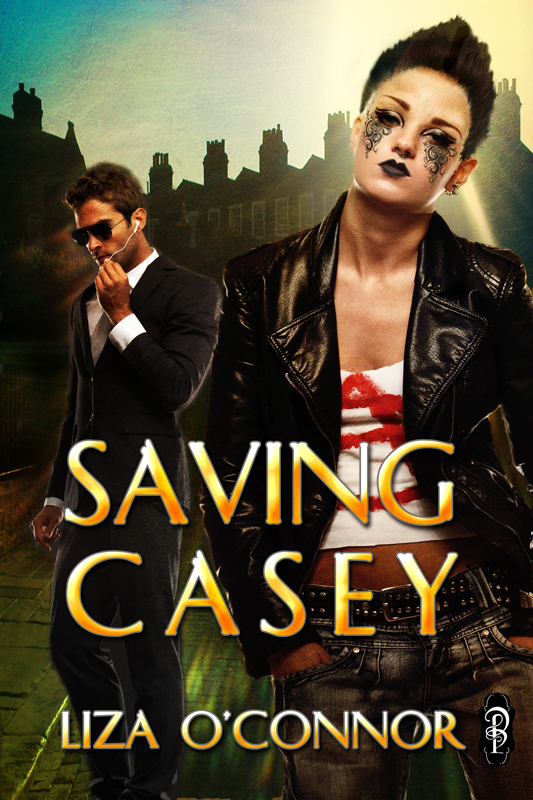 And a special note: Saving Casey will be reduced from $5.99 to $2.99 for the duration of the tour (March 5th-April 11th) at Amazon, B&N, DP/Bono, ARe, Coffee Time Romance, BookStrand, and Smashwords.